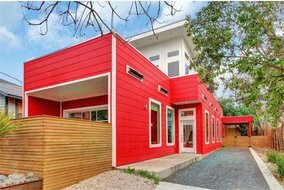 Pauly Presley Realty entered the Austin real estate marketplace in 2005 anticipating huge growth in the city, especially as it gained notoriety for its booming realty, strong job market, amazing arts scene, and wealth of cultural influences. Since our establishment 13 years ago, we have exclusively represented dozens of residential and mixed-use projects in Austin and the surrounding areas. We also have represented countless numbers of buyers, sellers, and tenants looking to purchase, sell, or lease property in Austin. When it comes to finding an Austin realtor, you can’t do better than the experts at Pauly Presley Realty. Our real estate company is known for providing superior customer service, access to the best listings in the Austin area, and helping to find the right properties for you. Get in touch with our real estate agents today to get started on your property search in Austin TX. Whether you are a first time home buyer, a savvy investor, or anyone else in between, Pauly Presley Realty can help you find your next home. Our real estate listings feature a variety of homes for sale that fit any budget, from first time property sales, to luxury home upgrades. By gathering information from you about the specific features and amenities you desire in a home, our Austin realty team will work with you and your budget to determine the best options. 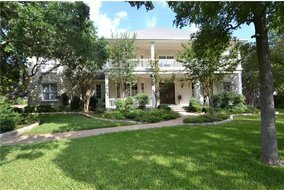 If you want to browse Austin homes for sale, houses for rent, or lease an apartment, downtown condo, or new construction and resale homes, then Pauly Presley Realty can offer you a wide selection of homes in the neighborhood you wish to live. We are the Austin real estate company for you! Speak With A Realtor Now! Find Out How We're Different Than The Other Austin Realty Companies. Whether You are Buying, Selling, or Leasing, We Can Help. 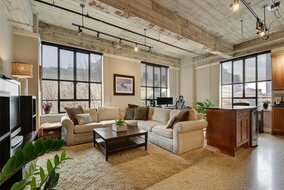 New to Austin or needing a change of scenery? Get started finding your new community right here on Pauly Presley’s website. Our realtors have inside knowledge of all the areas around Austin and San Antonio, and can give you a better idea of which region will appeal to you. Central Texas is filled with unique areas of fascinating individuals and groups, and we know you’ll find at least one place that feels like home.